The Pro Edger is user–friendly with fingertip controls and a ratchet-arm height adjustment system for fatigue-free operation and control. The Little Wonder Pro Edger is built for heavy, daily usage. Cuts create crisp, distinct edges faster and with less effort. 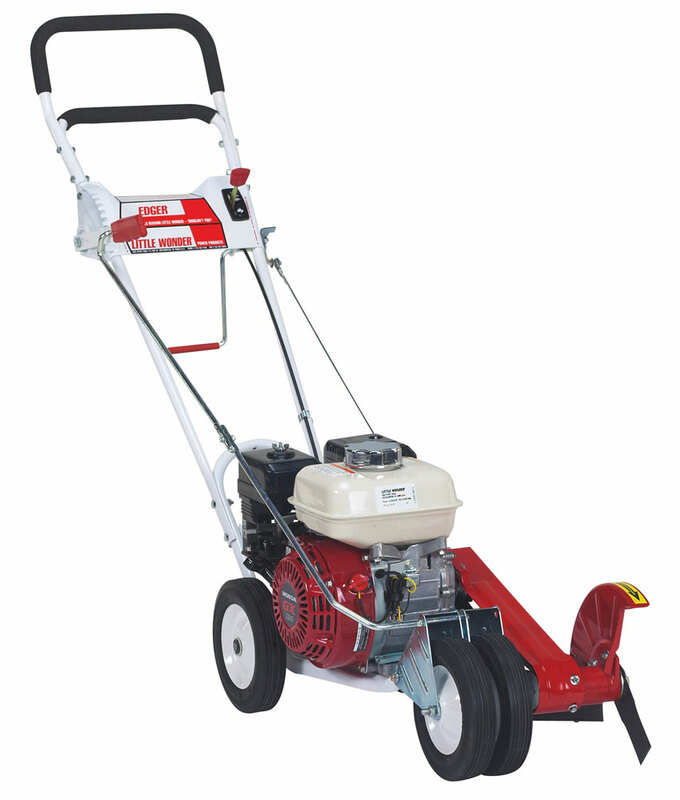 Available with Briggs & Stratton® Intek Series 550 or Honda® GX120 engine. Largest available cast iron cutter head on the market. 10″ steel blade is sharpened on all four sides, giving you the ability to flip the blade over and extend time between sharpening. Blade shield keeps debris off the belts. Convenient controls adjust depth, belt tension, and blade engagement all from the operator’s position. All wheels have steel hubs with ball bearings and full axles in the front and rear for smoother and easier maneuverability.